DropBox Inc. is nearing completion on yet another custom ISO shipping container modification. 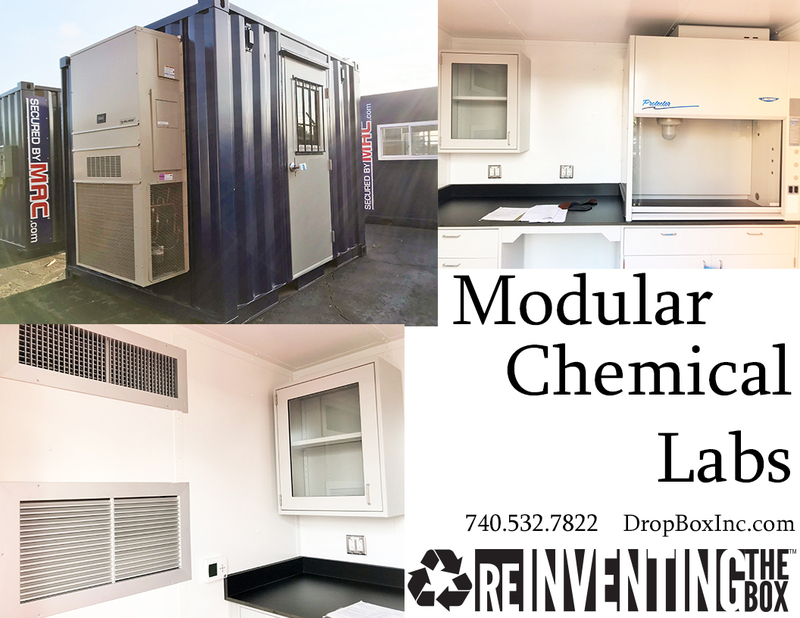 This 20' ISO shipping container has been modified with all the equipment and storage space needed to operate as a modular chemical testing laboratory for a major player in the chemical industry. 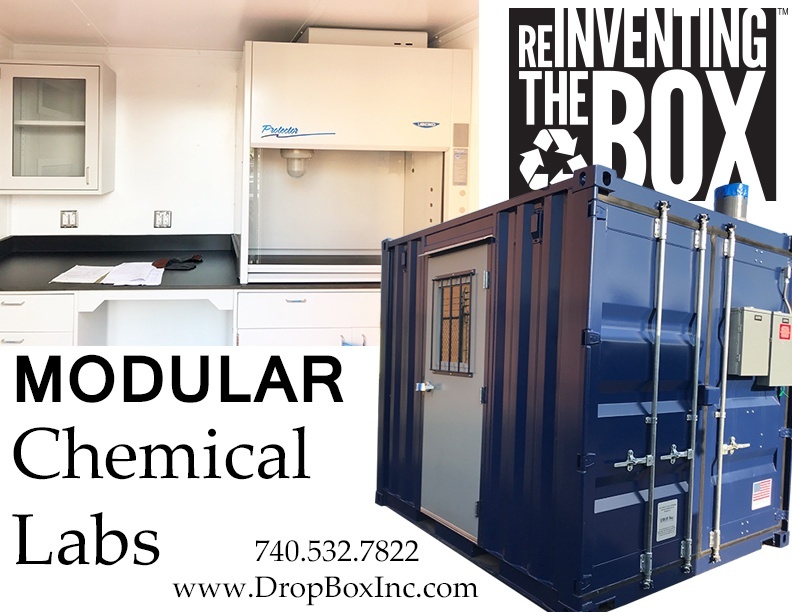 With every feature you'd typically find in any modern chemical laboratory this portable chem lab by DropBox Inc. gives lab technicians the ability to perform their work duties in a remote setting thereby saving them both time and money. 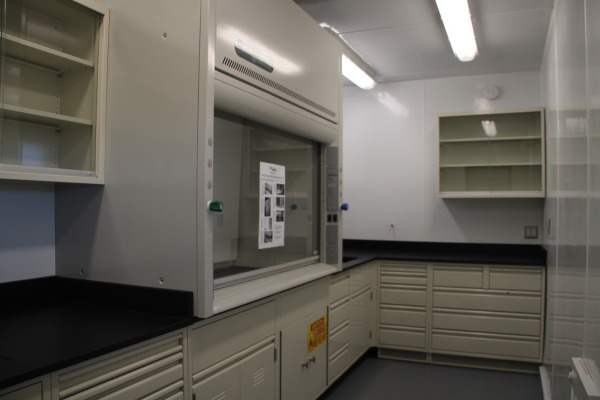 The unit pictured here in this weeks BLOG is a fully functional chemical lab contained in a 20’ ISO milvan and is readily deployable anywhere in the world. 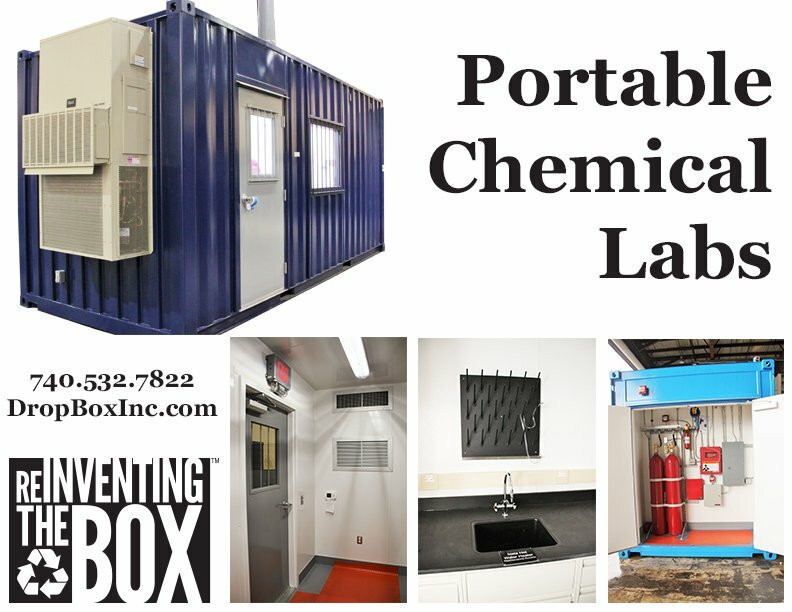 This portable chemical lab will soon arrive to the project site ready for connection to power, water and sewer, and is immediately ready for operation. With a short lead-time of 4-6 weeks these units can be manufactured and delivered in a short amount of time from the date of purchase. 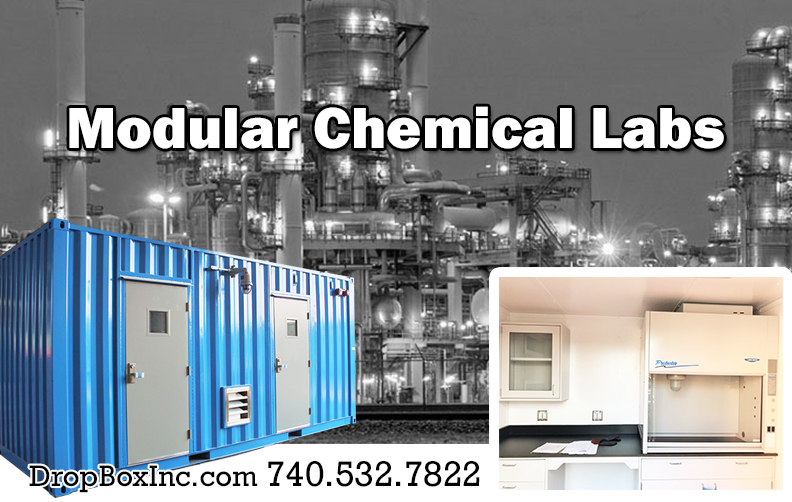 These mobile chemical labs are also perfect for temporary installations and remote locations. 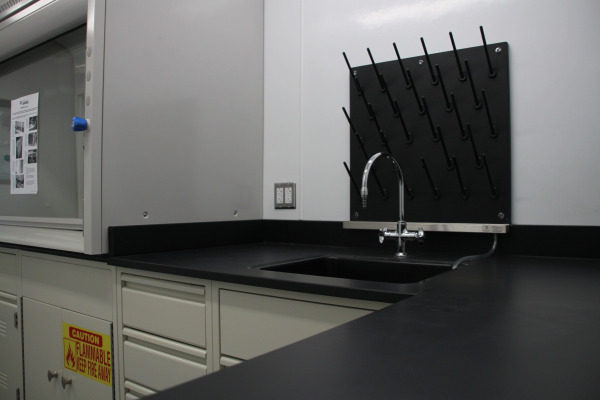 Designed expressly for chemical laboratory use with high end interior finishes and mechanical systems these modular laboratories are guaranteed to meet the demands of the chemical industry standards. 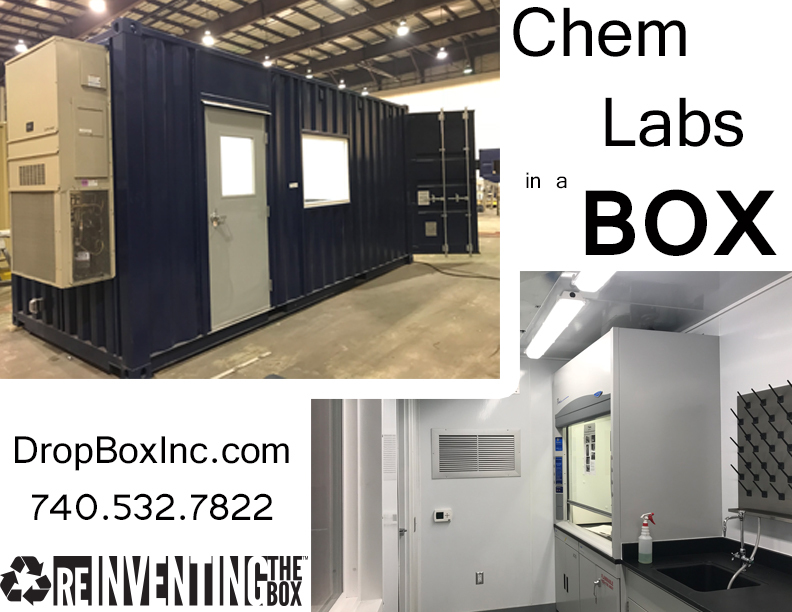 For more inormation on Containerized Chemical Labs by DropBox Inc. feel free to CONTACT US HERE or call toll free at 888-388-7768.